The sample parts pictured were all custom made for individual clients. We do not sell off-the-shelf. By far the most common type of adapter we make is that elusive piece to connect device A to device B. Chances are we have the required device connection specifications in our comprehensive knowledge base. Our automated online Build-An-Adapter can help you create and order the needed part in a few clicks, but if your device is not listed let us know. We will gladly add the device in our database if its specifications are available. 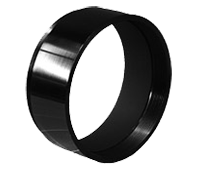 Do you need a T-threaded ring to setup your digital camera on the telescope? 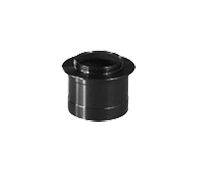 A specially machined adapter to rigidly mount a heavy CCD camera on the draw tube or the reducer/flattener at a precise optical distance? An Eyepiece Projection extender to insert an eyepiece in front of the camera? 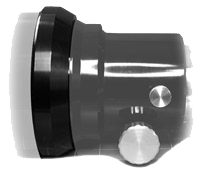 An afocal adapter to secure your camera to the eyepiece? We can make any of the above, for standard sizes and threads and for unusual ones as well. Our automated Build-An-Adapter can create the part in an instant. Some astronomical CCD cameras have a lens attachment allowing wide-field sky photography with a SLR/DLSR lens by piggybacking the camera on a telescope mount, but some cameras either do not have a lens adapter available or do not have the right type. 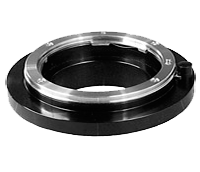 We can create replicas of popular lens mounts to fit your favorite SLR lens to a video or astrophotographic camera. A variety of lens types are listed in our Online Adapter Builder. 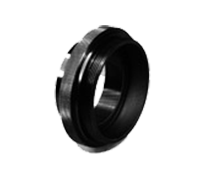 This allows designing lens adapters for many astronomical cameras. Please be sure to check our FAQs for details. Note: For daylight pictures an infra-red filter is required on most cameras unless the CCD is equipped with an integral filter. Our online Build-An-Adapter can create adapters for installing a solar filter on selected objective cells. For safety and esthetics, and to minimize cost we recommend mounting a solar filter using the thread available in most objective cells. Do you need a focuser extension tube to allow a new accessory to reach focus or to locate a camera at the exact distance required by the reducer/flattener? We can make a drawtube extension with the same diameter, thread and finish as your drawtube, for standard sizes as well as uncommon ones. Build-An-Adapter will most likely know how to create the part. Just select the appropriate focuser/drawtube on the telescope side and the extensions and spacers category on the other side. 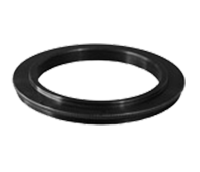 Commercial adapters (T-Rings) are not always available for older SLR cameras, and for most viewfinder type cameras. We can machine threads with almost any pitch to adapt a camera to a telescope focuser tube or an eyepiece holder. Our automated Adapter Builder can do that with little effort. Install a video camera in Prime Focus or in Afocal mode on your telescope. A number of inexpensive webcams or video chat cameras are available on the market. Although most of these cameras are not designed for use on a telescope, many have the capability. 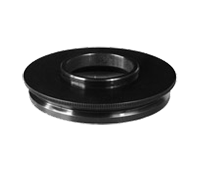 Often all that is needed is an accurately machined nosepiece, flange, or threaded adapter. Our automated Build-An-Adapter can probably make one of these in a few clicks or taps. Are you dissatisfied with the focuser on your refractor or Newtonian? Would you like to replace it for one of these smooth Crayford, shiny black, beautifully machined mechanism? 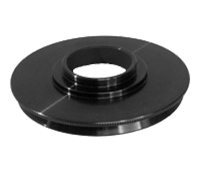 Build-An-Adapter can create an adapter plate to install one of a number of focuser models on selected telescope OTAs, with a design and finish blending seamlessly with the equipment selected (the focuser itself must be purchased separately).